When Howard Schultz spoke last week in Seattle as part of his nationwide book tour, some of the loudest protesters weren't Democrats criticizing him for threatening to run for president as an independent, potentially being a spoiler and helping Donald Trump win a second term. No, they were a basketball fans still enraged by the billionaire's role in the devastating departure of the Seattle SuperSonics, the city's NBA team. For Democrats, Schultz has been public enemy No. 1 for a week. For Sonics fans, he's been public enemy No. 1 for a decade. The team's supporters believe he messed up big time, and Schultz agrees in his new book, "From the Ground Up." Critics say his possible indy bid for the White House is already reminiscent of what they saw during his brief and bungled ownership — a man who believed he could translate his business acumen into making an NBA franchise great again. In 2001, Schultz, who made his name as CEO of Starbucks, led a group of Seattle investors to purchase the Sonics and the WNBA's Seattle Storm for $200 million from longtime owner Barry Ackerley. At the time, Schultz proclaimed he viewed the Sonics as a "public trust." The team would be safe in Seattle for years under his stewardship and he would return the franchise to championship form. None of that came to be. Schultz clashed with the team's star player, Gary Payton, and shipped him out of town. He briefly fought for a new or renovated arena, but abandoned the effort once it became clear that Seattle and Washington state were not interested in providing significant public funding. 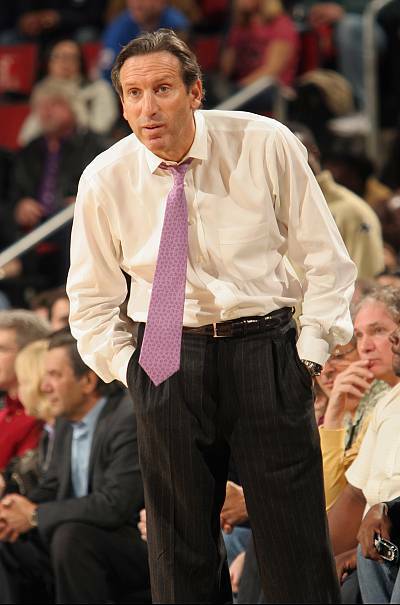 By 2006, he sold the team to an ownership group from Oklahoma that many feared wanted to move the team to Oklahoma City. Two years later, it did. Since then, the Oklahoma City Thunder have become one of the NBA's top teams, making the finals in 2012. Seattle still has no NBA franchise. "As a Sonics fan, I would bet Howard Schultz has a better shot at Oklahoma's electoral votes than Washington's," Washington Gov. Jay Inslee, a possible 2020 Democratic candidate himself, told NBC News in a statement. Schultz is the one held most responsible for the team's bolting. 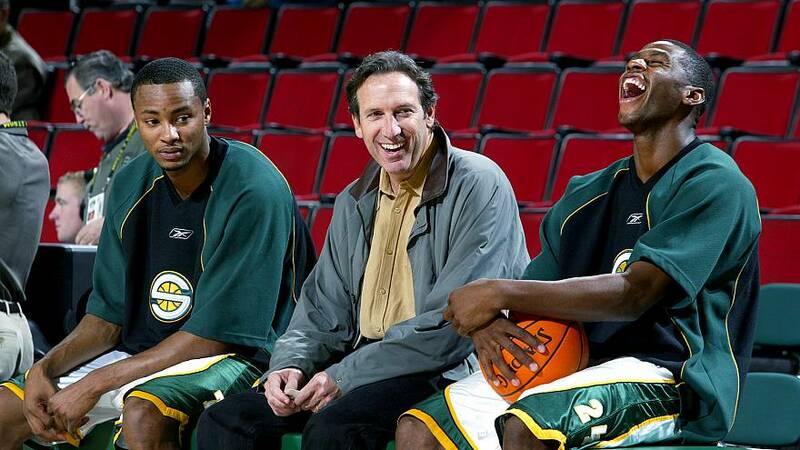 "He was supposed to be our local guy," said Adam Brown, producer of a 2009 documentary, "Sonicsgate," about the team. "He made his fortune on the back of Seattle and Seattle culture, and he gave all of the lip service and the rhetoric to the public trust and being a steward of the public trust." Brown added that others involved deserve blame, too, but Schultz sits atop "the pyramid of villains." Unlike the Starbucks success story, Schultz's run as Sonics owner is considered by many to be an abject failure. It is one of the only prominent instances where Schultz's political chops were on display. Schultz believed that when he took over the team, he could reinvent its culture. But he quickly found that owning an NBA team was nothing like running his company — and it was difficult for him to adapt. Payton, who did not return a request for comment from NBC News, said in "Sonicsgate" that Schultz "tried to run a basketball team like his coffee business." Payton added that Sonics fans were "punished" by Schultz's attitude toward players, with their conflict ultimately leading to the franchise player's exodus from Seattle. Off the court, Schultz struggled to convince lawmakers, and build public support, to revamp the Sonics' home, the Key Arena, or to invest in a new stadium. Not long after negotiations fell apart, Schultz sold the team to a group led by Oklahoma businessman Clay Bennett for $350 million. Today, the Thunder are worth $1.25 billion. Schultz made a last-ditch effort to sue Bennett for not making a good-faith effort to keep the team in Seattle, but the suit was dropped. Now, for the first time in the decade since the Sonics left Seattle, Schultz, who has called his run as owner a "nightmare," is publicly apologizing for his role in the team's departure. In "From the Ground Up," he said people are right to blame him for the loss of the franchise. "Almost everyone blamed me, and after some initial denial, I realized they were right to do so," Schultz wrote, adding the "sharpest pains hit me not when I'm publicly insulted, but when I'm walking or driving and see someone wearing a SuperSonics T-shirt or cap." In a Seattle Times op-ed, he wrote that his sale of the Sonics "is the biggest regret of my professional life." A spokesperson told NBC News that Schultz would not have anything more to add on the subject. "I'm not a big fan of his apology," said Jeremy Repanich, a former Sonics employee who wrote a 2012 Deadspin story detailing the downfall of the team, adding, "It's kind of too little, too late." Nick Licata, a former Seattle City Council member, said Schultz is "smart to try and deal with this issue head on, right now, and clear the deck." "A core group of people will never forgive him," Licata said, adding that a bigger concern is "how it happened, how he communicated it." "I think the imagery he left behind was worse than the actual fact that the Sonics left," Licata said, pointing to the hit Schultz's public image in Seattle took after the Sonics left town. Those who watched Schultz's ownership say it's a cautionary tale for how he would handle the world of national politics. "It was like he picked up his ball and went home," Repanich said, adding that in his view, that is what would happen with a Schultz presidential run. "'America just doesn't deserve me,' that could be the end result." "He lacked that charisma to get politicians and people on his side," he added. "I don't think he was used to coming into a situation where people who he thought of as his employees actually had a power parity with him. Him being president would just be putting him back in that exact situation." Jason Reid, who directed "Sonicsgate," questioned why Schultz should be trusted to bring Congress together when he showed "no ability" to work with officials at the state and local level. Schultz says he is "the guy that finally can bring the whole country together in the same way he was going to bring a championship to Seattle and be the public trust guy who kept the club in Seattle," Reid said. "The way it went down and how he allowed all of these things to happen is just indicative of the kind of leader he would be."